A cyclist forgiven, dirty lawns and a big speech. When a local television station last week did a reprise of our story on parking ticket scofflaws (“Time Bandits,” Aug. 20, 2009), it was a shock to see Matthew Hardie still atop the list owing $10,670. Hardie died last Dec. 14, finally succumbing to severe injuries he suffered in a bicycle-vehicle crash two months earlier. On the morning of Oct. 4, Hardie had been riding his bike to work down the Lincoln Street hill near Deaconess Medical Center when he slammed into a van that had pulled out, from a stop sign, right in front of him. Hardie had no time to stop. His crash caught the attention of bicycle commuters throughout the city, and many pulled for him on blogs as he fought for more than two months to hang on to life. Hardie lost his mother last year, and his father is also dead, sister Katherine Hardie told The Inlander last fall. 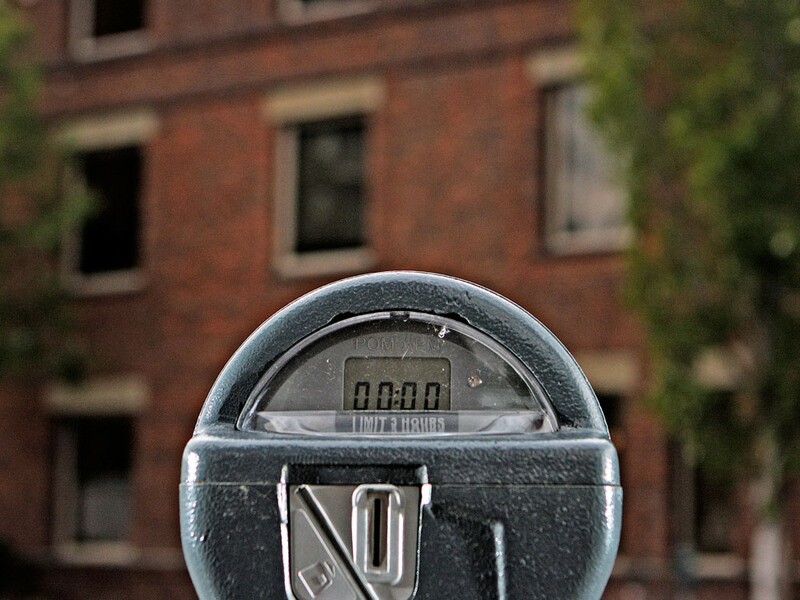 Given the tragic loss, could the city somehow forgive his unpaid parking fines, we asked? Yes, it turns out. Spokane City Administrator Ted Danek did some checking and learned that Valley Empire Collections, which contracts to collect unpaid parking fines for the city, will not pursue Hardie’s unpaid parking tickets. “Matthew Hardie does not have an estate, so they will take no action on the fines,” Danek says. In a quirk of law, the fines will remain on the books for 10 years before being erased. Freshman state legislator Andy Billig, from Spokane’s Third District, is continuing to make waves with his seemingly arcane bill to limit the sale of lawn fertilizers containing phosphorus. Martha Baskin of Green Acre Radio (not the Greenacres in the Valley) reports on the high costs of meeting federal Clean Water Act guidelines, especially for phosphorus, and postulates that HB 1271 could be an accidental hero in a legislative session where drastic budget cuts — and not pollution — are the major focus. It’s another indication that Billig, president of the minor-league Spokane Indians baseball team, might hit a home run with his first bill. The basic idea is that reducing the amount of fertilizer leaching into the river from thousands of lawns will help the handful of city treatment plants and factories working to reduce the amount of phosphorus they send into the river via their discharge pipes. The thrust for phosphorus restriction comes from efforts to preserve dissolved oxygen levels and combat toxic algae blooms in the Spokane River. But the bill has gained traction statewide and has attracted support from fertilizer retailers and others. It’s that time of year again. This Friday, Spokane Mayor Mary Verner will deliver the annual State of the City address. Her speech, which will detail her and the city’s accomplishments over the past year, will take place during a meeting of Greater Spokane Incorporated, in the ballroom at the Spokane Convention Center. The meeting starts at 7:30 am, but her speech will begin around 8 am.